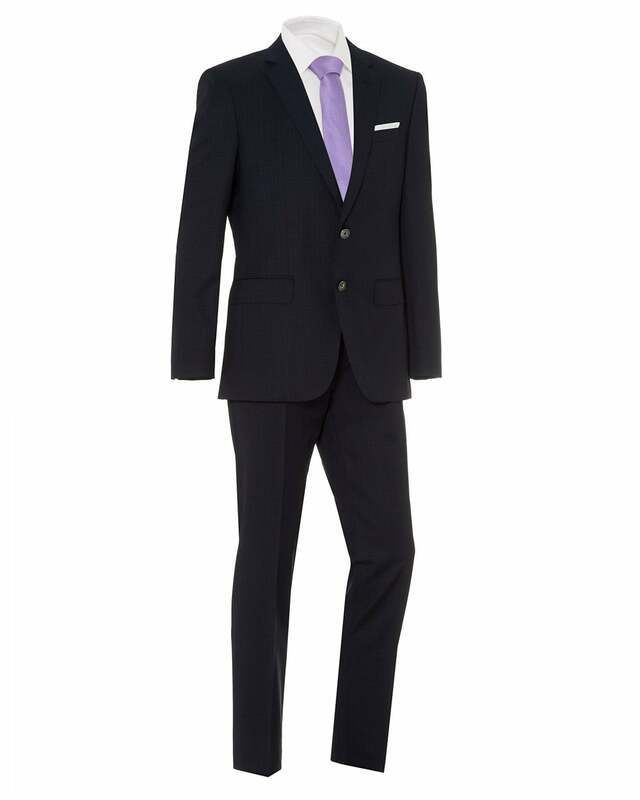 This elegant two button suit by BOSS Business (previously BOSS Black) comes in a navy blue checked design. Crafted from high quality virgin wool, this suit features a notch lapel and a smart pocket square with matching trousers. Wear with a crisp white BOSS Business shirt and leather shoes for a complete look.